“Salon am Hof” Liederabend Series to feature pianist Helmut Deutsch with Sono Artists! Dorottya Làng sings Cherubino in LE NOZZE DI FIGARO at Staatsoper Hamburg! Sumi Hwang debuts at Wigmore Hall in Rosenblatt Recital with Helmut Deutsch! Soprano Sumi Hwang makes her London recital debut in the Rosenblatt Recital series at Wigmore Hall on October 28th with Helmut Deutsch, pianist. Works performed will include arias by Puccini and Lieder by Schubert, Strauss, Rachmaninoff and Berg. For more information and tickets, click here. 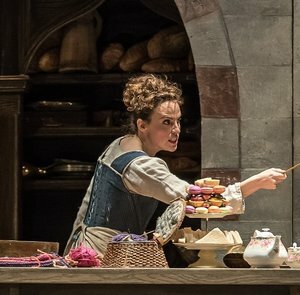 Rebecca Nelsen makes debut at Glyndebourne in DIE ENTFÜHRUNG AUS DEM SERIAL!